I did a head to head comparison a few nights ago between A'Bunadh and Glenfarclas 105. 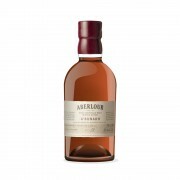 Aberlour A'Bunadh is an incredibly popular, loud and bold cask strength offering from Speyside. It's NAS, and for what it's worth, they claim that each batch is a vatting of "5 to 25 year old" whiskies. I'm skeptical that there's much in the way of older-than-15 year old whisky in here. A bit of controversy exists surrounding the colouring issue. German websites stocking A'Bunadh sometimes indicate "mit farbstoff" which means it's coloured with e150a. However, sources directly from Aberlour state that A'Bunadh is NOT coloured with e150a. Perhaps the Germans can't be bothered to verify their information. Maybe they're just playing it safe. 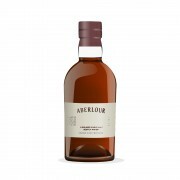 For what it's worth, I tend to believe the folks at Aberlour. The reviewed batch is number 53. With water there’s more oak on the nose, maybe even some cranberries, and the oranges take a back seat. It feels a bit spicier and more drying on the palate and finish, more Sherry-like. There’s also some raw almonds on the palate and finish when it’s diluted. Maybe a bit of a balsamic vinegar note at the tail end. I expected this A’Bunadh to be much sweeter, but it’s quite balanced. I really like it a lot. 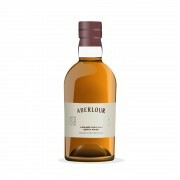 I feel as though this whisky might be something you serve along side some sharp cheese or a charcuterie board. Very pleasant, but not life-changing. @antihero recently reviewed the 54 on his website. He noted that the batches seem to be getting less sweet and more dry than they used to be. Perhaps this is a trend. I have a bottle of this and the 54,, and I'm looking forward to trying them in a few years. 7 months ago 1Who liked this? @Nozinan It’s quite pleasant, but I’m not sure about a trend. I have an unopened bottle of Batch 58, which I tried (extensively) with a good friend. If memory serves correctly, Batch 58 was not as dry as this one. But this bottle of batch 53 has been open for 18 months before I got it. It was more than 2/3 full, but I’m sure the air exposure affected its character. I have an unopened batch 61, much newer than previous batches I've tried. I remember the late 40 and early 50 batches being pretty sweet. I loved them and hopefully these new batches are up to par. @OdysseusUnbound, what is life-changing for you? @MadSingleMalt The first time I tried Lagavulin 16 was life-changing (as far as whisky goes). Uigeadail was too. So was Laphroaig 10 Cask Strength. Heck, I’d say the Amrut sample @Nozinan gave me was as well. This particular batch of A’Bunadh was very good, but not “holy sh-t!” good. @OdysseusUnbound, roger that. I remember that you like Lagavulin a lot, but I wasn't sure if you'd put any of their stuff in the highest of highs. @MadSingleMalt I’d put the 12 Year CS up there. Maybe “life-changing” is a poor choice of words. It is only whisky. Now if I said “disposable income-changing” whisky or “credit rating-changing” whisky, or “marital status-changing” whisky, that might be a bit more accurate. 7 months ago 5Who liked this?